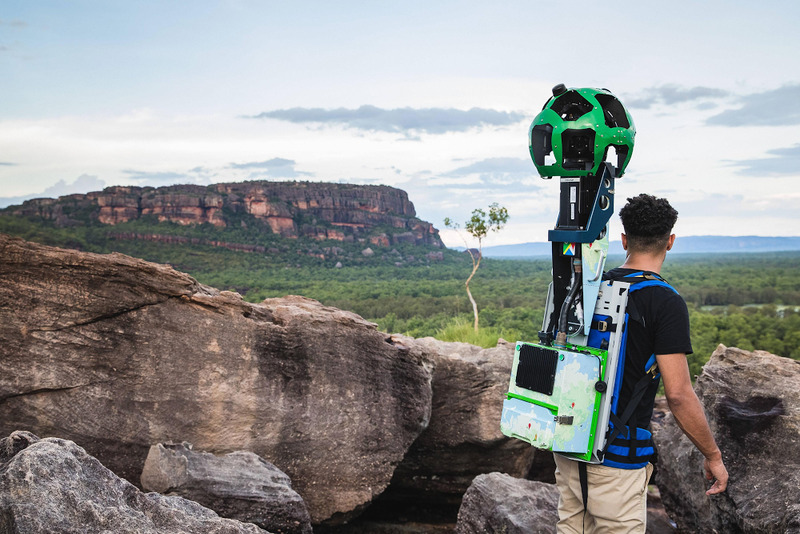 A relatively dry ‘wet’ season has allowed Kakadu National Park to forecast an early opening of the Park’s key tourism icons in time for the Easter holiday break. 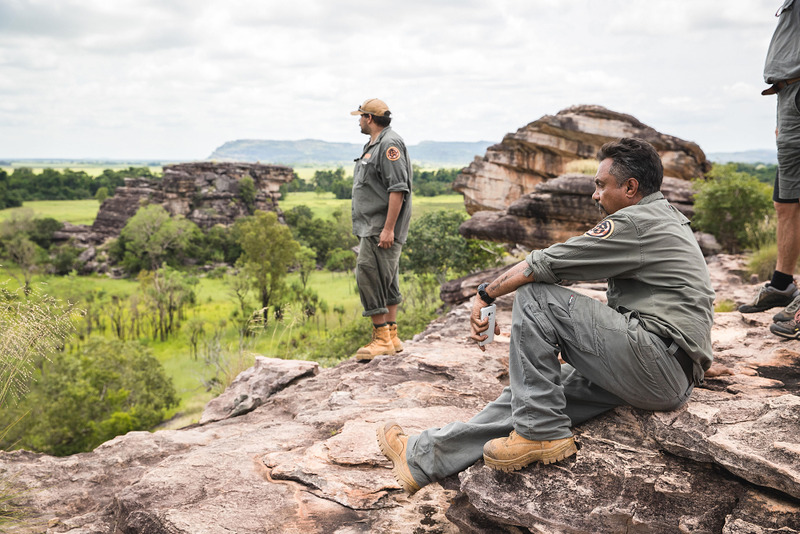 In traditional ‘wets’, access to prime tourism attractions such as Ubirr, Nourlangie and Gunlom can be restricted till May, but, subject to future weather events, Kakadu National Park is anticipating that these three sites will be open. In addition, Parks have upgraded walking tracks at Gunlom, one of Australia’s most famous natural infinity water holes and waterfalls. Access to Ubirr – a culturally significant site renowned for its rock art and sunset vistas – via Magela Creek is on schedule for a pre-Easter opening. Walks at South Alligator and The Bird Hide at Mamukala – one of the best spots for bird watching in Kakadu – are already open, as are walking tracks and art sites at Nourlangie. The early start to the peak Season is perfectly timed for both the Easter holiday period and A Taste of Kakadu (www.kakadutourism.com/taste) from 10 to 19 May. Special food events will be held across the Park during A Taste of Kakadu, including signature events such as Canapes and Cruises on Yellow Water Billabong and Cocktails at the Croc – both featuring the best of local Kakadu produce. Art Classes will be held daily at The Croc in Ochre Gallery, while at Warradjan Cultural Centre near Cooinda, free weaving and art sessions will be held daily and a free ground-oven cook up using traditional Indigenous ingredients will be open to up to 50 visitors on Wednesday 15 May. Shoulder season rates will be available at the Mercure Kakadu Crocodile Hotel, with rooms starting from $179 per night (for two guests). Family rooms are also available. Kakadu is an easy three hour drive from Darwin and is ideal for a short three day break or more extensive itineraries involving trekking and water-based activities. You can also meander through towering sandstone pillars at Bardedjilidji, travel to Nawurlandjafor world-class panoramas across Anbangbang Billabong and the Arnhem Land escarpment, and toward Burrungkuy (Nourlangie) where you can view rock art galleries, before cooling off in the pristine plunge pools at Maguk or Gunlom (one of the most popular sites for travellers looking to take a refreshing dip), then diving into Kakadu’s big waterfalls: Twin Falls and Jim Jim Falls. Kakadu’s longest-established tourism accommodation operator, Cooinda Lodge & Camping, is marking the 40th anniversary of Kakadu National Park by unveiling a complete refurbishment of its Lodge rooms as well as the launch in June of the new glamping village Dreaming@Home Billabong. Cooinda is in the heart of Kakadu National Park, and incorporates prime tourism attractions such as Yellow Water Cruises and Warradjan Cultural Centre as well as Spirit of Kakadu 4WD Adventure Tours. 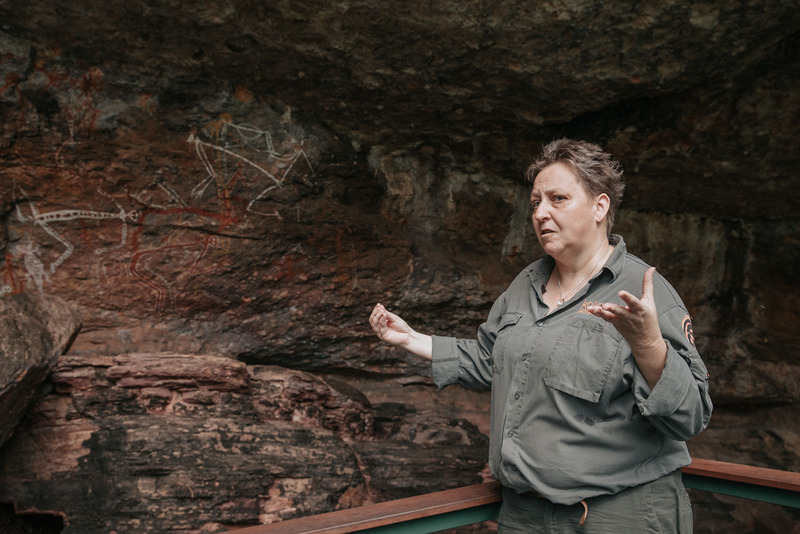 It is also very conveniently located to the Nourlangie rock art site, and well positioned for tours to Jim Jim, Twin Falls and the Maguk and Gunlom waterfalls and rock pools. The major upgrade to accommodation at Cooinda comes at a time when Kakadu celebrates the 40th anniversary of the declaration of Kakadu National Park, establishing Kakadu as one of Australia’s most important natural and cultural destinations. The 20 permanent upmarket tents, supplied by Eco Structures Australia, will make their debut after the success of three previous seasonal ‘pop up’ Flash Camp villages. Ten of the units will be configured for couples with a queen size bed, while the remaining ten will have additional bunk-style accommodation to cater for families. All bedding will feature high quality mattresses and linen. Fully landscaped and set in a very shady area, the tented village site enjoys a premium position in the campground close to Home Billabong and the hotel’s reception area and guest facilities. Dreaming@Home Billabong will have its own dedicated share bathroom and cooking facilities. Rates for the glamping tents will start from A$149 per night. All Lodge rooms at Cooinda have now completed a full interior refurbishment, with new bathrooms, air-conditioning, lighting, interior decoration and furnishings, providing a fresh, contemporary design with upgraded comfort and facilities. Gardens surrounding the lodge accommodation are also being refreshed. Cooinda is now able to offer quality Lodge and glamping accommodation, complemented by sites for temporary camping and caravans. Guests in all accommodation have full access to Cooinda Lodge’s facilities, including the restaurant, bar, shop and two swimming pools. The Festival celebrates the best of Indigenous food and culture and will include a number of events at Cooinda, including Canapes and Cruises with Yellow Water Billabong. Sunset & Canapes (each evening, 12 – 18 May): will present Kakadu’s wetlands and wildlife from a completely different perspective, with canapes featuring local Northern Territory cuisine, accompanied by drinks and expert commentary. Anme Garringun Ganji Mayambolk (17 May) – ‘Dining under the Milky Way’: This new event presents stargazing from a local Indigenous perspective on the airstrip of Cooinda Airport. The crystal clear skies are rich in Indigenous Dreamtime folklore, and along with a fascinating local interpretation of the stars, guests will enjoy local inspired canapes featuring the best of Kakadu produce accompanied by a beverage package. One of the most spectacular natural shows on earth, Kakadu Bird Week features over 250 bird species across Kakadu National Park, including millions of Magpie Geese on the wetlands around Yellow Water Billabong. There are specialist talks, Aboriginal bird experiences, and special activities for children. Yellow Water Cruises at Cooinda operates special interest bird viewing and interpretation cruises throughout the week. There are a million – in fact, up to six million – reasons to visit Kakadu over the ‘green’ season. Until the end of February, the NT Million Dollar Fish competition is offering a record prize pool with five million-dollar tagged barramundi, 100 $10,000-tagged barramundi and 20 purple-tagged barramundi, each delivering $2500 to the angler and $2500 to a local charity. The first two $10,000 barras in this season’s competition were caught on Yellow Water Billabong, at Cooinda, the most family friendly location in Kakadu. It is the base for Yellow Water Cruises and also offers a range of accommodation – from camp sites to newly-refurbished lodge rooms – along with two swimming pools, a restaurant, petrol station and shop. Even better, Cooinda Lodge is offering rates from $139 per night for family rooms till the end of February, with advance bookings (21 days) attracting a further saving of $20 per night, reducing rates to as low as $119 per room. Mercure Kakadu Crocodile Hotel in nearby Jabiru has a similar advance purchase deal with rates starting from $129 per night. Gudjewg is the Aboriginal term for the green season and it offers remarkably rich experiences for visitors as thunderstorms build in the afternoons (think Vivid in the outback), the dry land turns green, streams begin to run, and the new breeding season commences. Sealed roads make most of Kakadu’s prime attractions accessible throughout the green season. Spectacular rock art can be viewed at Nourlangie, cooling swims can be enjoyed in waterholes such as Motor Car Falls, and hundreds of bird species along with crocodiles and other wildlife are active on Yellow Water Billabong. And who knows, bring a rod and you can return home a millionaire! The Mercure Kakadu Crocodile Hotel in Jabiru – or ‘The Croc’ as it is known locally – has celebrated its 30th anniversary. Located in the township of Jabiru, The Croc’s launch in 1988 opened up the World Heritage listed Kakadu National Park to modern tourism, with the hotel following the success of Crocodile Dundee (1986), which put both Kakadu and its crocodiles on the international tourist map. The hotel won a Brolga Award in 2016 for ‘Unique Accommodation’. Nature lovers from around the world are planning to flock to Kakadu Bird Week for what is regarded as one of the “greatest natural shows on earth”, from 29 September to 7 October. Kakadu is predicting a rise in ‘happy campers’ following the announcement that Flash Camp will operate from the Cooinda Camping Ground from 16 June to 16 September 2018. A food festival that celebrates 65,000 years of Indigenous cuisine – with a modern twist! Some of Australia’s oldest native foods – think crocodile, Barramundi and ‘superfoods’ like Kakadu Plums – will be on the menu for A Taste of Kakadu – the most exciting Indigenous food festival in Australia. The UK’s National Student’s reporter Dave Owen, needed little persuading to nominate Kakadu as Australia’s ‘must-visit’ destination. Kakadu Tourism has launched a range of special cruise and accommodation offers to provide even greater incentives for visitors to enjoy Kakadu National Park during the ‘green season’. With waterfalls at their cascading best, wildlife in abundance, and a million dollar fish potentially swimming in Kakadu’s waterways, there’s no better time to visit.